Early 20th Century Pine Worktop Bank of Nine Drawers. 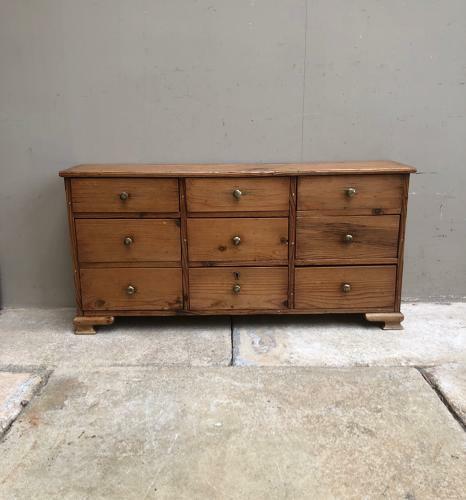 Lovely condition Early 20th Century Pine Bank of Nine Drawers. Full set of Original Knobs...very good and strudy with no worm. Just a little too large to post I think so Collection or Courier £45.